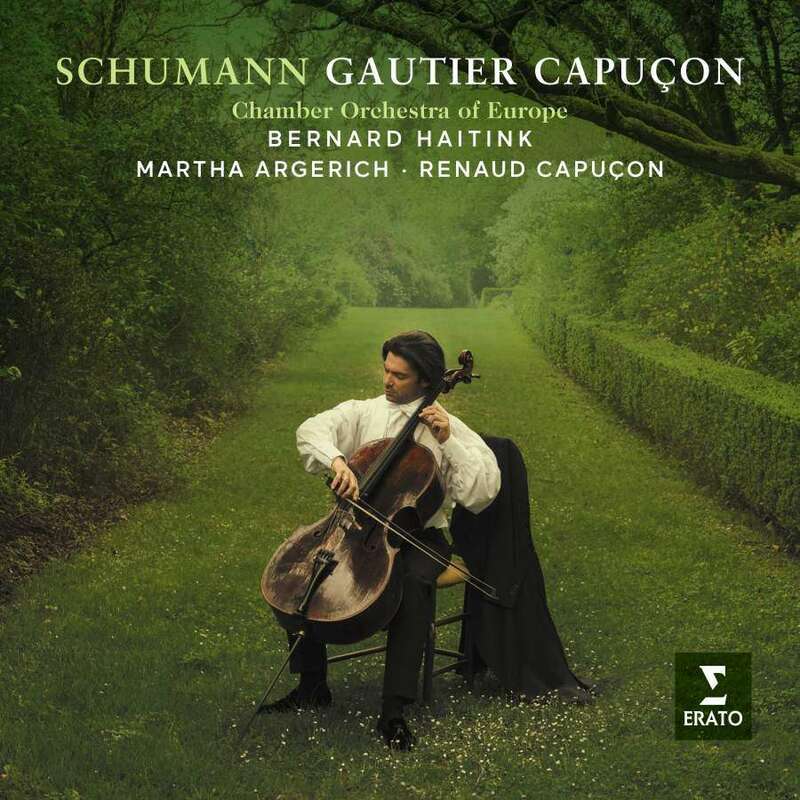 Warner Classics & Erato has this month announced the release of superstar French cellist Gautier Capuçon’s new album: Schumann. Recorded with pianist Martha Argerich, violinist Renaud Capuçon, conductor Bernard Haitink with the Chamber Orchestra of Europe, the disc features live performances of Schumann’s Cello Concerto in A Minor, Adagio and Allegro, Fantasiestücke Op. 73, Stücke im Volkston – and Fantasiestücke Piano Trio Op. 88. “The idea for this disc came from my memory of these beautiful live Schumann chamber works recordings I was fortunate to record in concert with pianist Martha Argerich and my brother, violinist Renaud Capuçon at the Lugano Festival in Switzerland a number of years ago … ” Gautier has told The Violin Channel. “I then thought how great these gems would couple with a live recording of Schumann’s Cello Concerto … and I remembered back to a wonderful live performance which had been recorded with Maestro Bernard Haitink and the Chamber Orchestra of Europe at the Concertgebouw … this performance stuck in my mind like no other, i remembered it coming together just so naturally …” he has said.